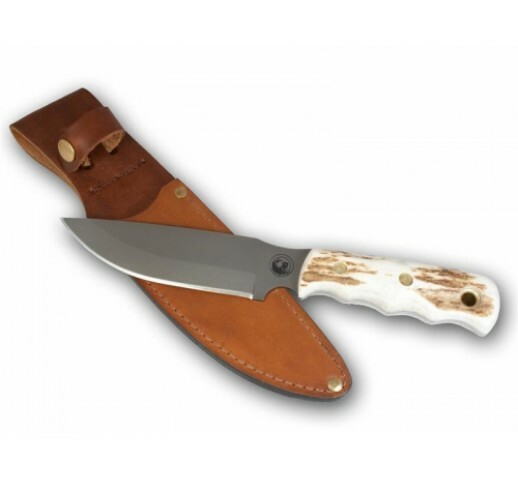 Knives of Alaska Bush Camp Knife is a large 10-1/2" long, full-tang, .14" thick knife with a 6" drop-point blade. The handle is stag scales. The knife is designed for rugged bush camp field-dressing and cook shack duties. The blade steel is D2 with a Rockwell hardness of 59-61 and has the hunter's non-glare matte finish.